The best way to ship your products in Spain, Portugal and Europe. 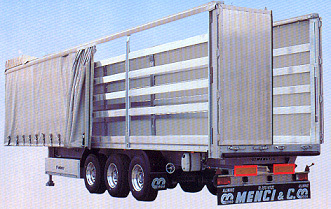 EXPRESS 24H We pick up and deliver all over Italy and in most European countries in 24 hours. We are able to furnish an excellent service for transport of Full Truck Loads for all Europe with Tilt trailers, tautliners, fridge trucks with double temperature. We are specialized in temperature controlled transports for Full Truck Loads and Groupage.Our company applies the self control system HACCP (Hazard Analysis Critical Control Points). We organize collections and deliveries throughout Europe , no matter if one pallet or a 24 tons full truck load. Outsourcing, transport outside your office staff to contain costs, reduce fixed costs, improve quality of service to your customers.